Assemblyman Kevin Kiley says it's likely the Legislature will scrutinize law and policy around artificial intelligence in 2019, introduce new legislation on privacy, and monitor state cybersecurity. Kiley, who represents the Sixth Assembly District, said the Legislature will “look at how to build on that” next year and called the matter “very timely” following the recent Little Hoover Commission report on AI — which mentioned Kiley's resolution. “We’re exploring a number of ways we might follow up there and really move that conversation forward so the state can take full advantage of the tremendous possibilities of AI,” Kiley said. 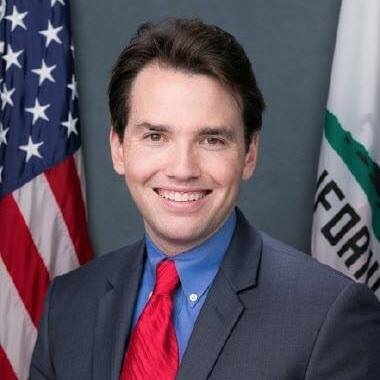 He could be viewing tech and innovation from the upper house of the Legislature before too much longer; Kiley has announced his intentions to run for the state Senate District 1 seat held by Ted Gaines, who was elected to the State Board of Equalization. The exact timing of a special election awaits Gaines’ expected resignation from the state Senate in January. But a staff member in the office of Assemblyman Evan Low, caucus co-chair, affirmed that because the caucus is bicameral and includes Assembly members and state senators, Kiley would be able to remain a member of the Tech Caucus, as it's known.